What could be worse than receiving a diagnosis for a serious illness? Receiving a diagnosis for a serious illness and then being mistreated by your medical care provider for that illness. Medical malpractice is defined as an error or oversight on the part of a hospital, doctor or other health care professional that results in injury or illness to a patient. Medical malpractice can be a consequence of mistakes in diagnosis, treatment, or management. Similar to this term is medical negligence, which occurs when a medical professional chooses to act or not act in a way that compromises a patient’s health. 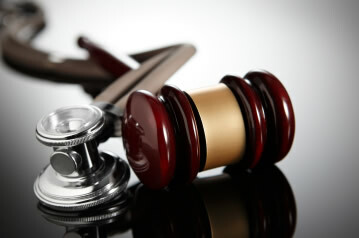 In order to be successful, a medical malpractice suit must prove medical negligence. Unfortunately, the idea of medical malpractice has become associated with a lot of unflattering images in the United States: ambulance-chasing lawyers, faked injuries, innocent doctors being targeted by greedy patients, frivolous litigation that clogs the court system, national healthcare costs being driven up by medical negligence compensation, etc. Between 44,000 and 98,000 Americans are killed by medical errors every single year. To put that into relative terms, that means that more people die from medical errors every year than die from breast cancer, prostate cancer and drunk driving combined. A Harvard School of Public Health study examining over 1,400 medical negligence claims found that 97% of the claims had merit and 80% of the malpractice referenced by the claims resulted in serious injury or death. On average, medical malpractice attorneys reject 80-97% of requests for representation—indicating that most malpractice attorneys are in fact very careful to represent only patients with legitimate claims. Ethics aside, think about it from a purely practical perspective: why would an attorney want to take a case they can’t win? One study found that, between 1991 and 2005, 5.9% of all doctors were responsible for 57.8% of all malpractice payments. Given that each of these doctors had committed at least two acts of malpractice, this evidence clearly indicates the importance of going after the few deeply incompetent doctors that are responsible for the majority of medical negligence. To make matters worse, only 8% of these doctors who made multiple (over 2) malpractice payouts were disciplined by state medical boards. Only 17% of doctors with more than 5 malpractice payouts were disciplined. Medical malpractice lawsuits actually comprise a very small amount (3%) of all civil torts in the United States, which in turn comprise just 6% of all civil cases. That means only 1.8% of US civil cases are medical malpractice lawsuits, despite the fact that medical negligence afflicts up to 98,000 Americans each year. In fact, only 1 in 8 people injured as a result of medical negligence file claims according to one study. Some studies claim that wrong site surgeries—in which a surgeon operates on the wrong region of the body—occur over 40 times each week. One study found that uninsured and poverty-stricken payments are drastically less likely to sue for malpractice—even though these groups may be at higher risk of being the recipients of malpractice given that they typically have the least access to quality healthcare. The idea that malpractice lawsuits are contributing to higher healthcare costs for everyone is particularly absurd, given that only 0.3% of National Healthcare Costs go towards medical negligence compensation. If anything, the exact opposite is true. Compare that 0.3% of your healthcare costs compensating medical negligence claims to the 1.3% of those costs that occur as a result of the preventable medical errors themselves. Malpractice occurs most commonly in: diagnosis (33% of studied cases), surgery (23%), treatment (18%), obstetrics (10%), and the administration of medication or anesthetics (10%). 40% of physicians report that the high volume of their monthly patient care caseload could lead to errors. The striking majority of all medical malpractice results from preventable human error. What should you do if you think you’ve been the victim of medical negligence? First, get a second opinion from another healthcare provider right away to make sure that any treatment your current provider has been administering does not immediately jeopardize your health or safety. Once you’re found yourself in better hands, call or email Evergreen Personal Injury Counsel. Not sure if your case qualifies under the definition of medical malpractice? Come consult with us about it. We at EPIC have a number of highly experienced medical malpractice lawyers on our team that can help uncover the extent of your maltreatment and get the justice you deserve against the parties at fault. Not only do you owe this to yourself, but you also owe it to any other patients who might be hurt by the responsible doctors (who are statistically likely to be repeat-offenders).